For smaller breweries without the resources of its larger counterparts, the ability to activate and harness a local, grassroots movement can be the key to finding growth. With new technology and readily available social media tools, the process of engaging and empowering fans has become much easier. Narragansett is a shining example of a brand that is showing success using these methods. 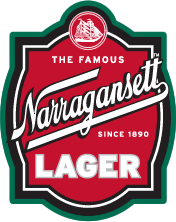 In the late 1800s, and throughout much of the 20th Century, Narragansett was considered the New England beer. At its peak, the brand had a 65% market share and was the official beer of the Boston Red Sox franchise. The fame and fortune of Narragansett, however, quickly disappeared when the brewery was purchased in the 1970s and moved to Indiana. In 2005, a team of New England investors purchased the brand and brought its soul back to Rhode Island. The new owners set out to re-invigorate the brand by focusing on social media and non-traditional, grassroots marketing tactics that embraced the brand’s longstanding tradition in the region. Narragansett’s online strategy is at the heart of their marketing mix, and it ties together everything they are doing both offline and online. The Support The Cause campaign is a great call-to-action effort that is a central point in their online fan engagement strategy. This campaign has set a goal of selling 7.5 million cases a year, and building a brand new brewery in New England if it succeeds. Fans are asked to take part in the movement by doing three things: sign a petition, buy a case, and report any stores or bars that don’t sell Narragansett. Thus far, the campaign site has received over 1,100 comments. They also provide a slide presentation on the new brewery plan. From a content standpoint, its blog (blog) is leagues beyond the norm when it comes to the beer industry. 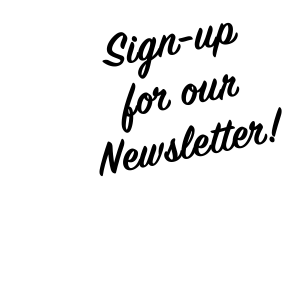 In addition to useful content such as recipes, videos and event invites, they also run contests on a regular basis, highlight the ‘Gansett Girl of the Week, and showcase user-generated pledge videos. Their content is also used to generate engagement on the brand’s Facebook Page, which has an active following of nearly 17,000. In an industry where smaller breweries can be overshadowed by big brands and flashy campaigns, Narragansett is showing how effective beer marketing doesn’t have to be about the big bucks. More importantly, they are showing how embracing tradition and empowering fans locally through digital media can start moving a lot of cases.